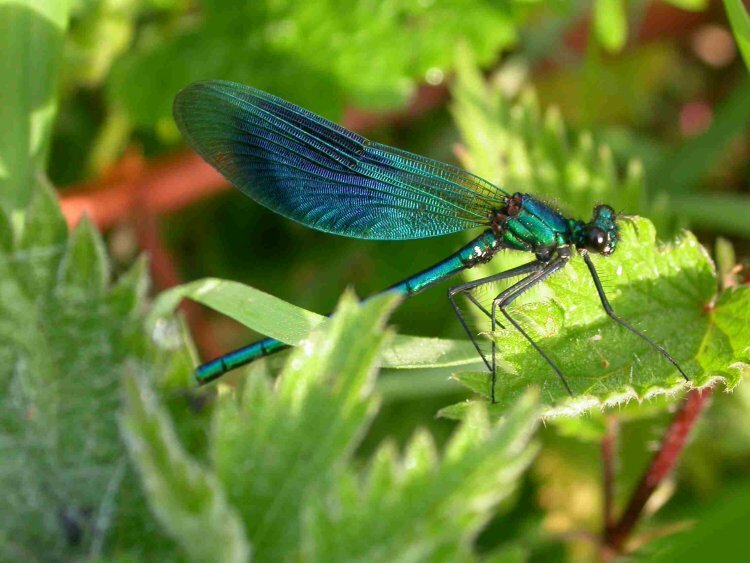 Banded demoiselle. Second phase analysis will include freshwater taxa like this. to increased agricultural intensification (Eglington & Pearce-Higgins 2012). Climate change is having an increasing impact upon biodiversity. Species ranges have shifted in response to warming (Hickling et al. 2006, Chen et al. 2011), whilst the timing of biological events has also changed (Thackeray et al. 2010). Although regarded as a significant long-term threat to global biodiversity (Thomas et al. 2004, Bellard et al. 2012), there has been little synthesis of the response of species’ populations to climate change. 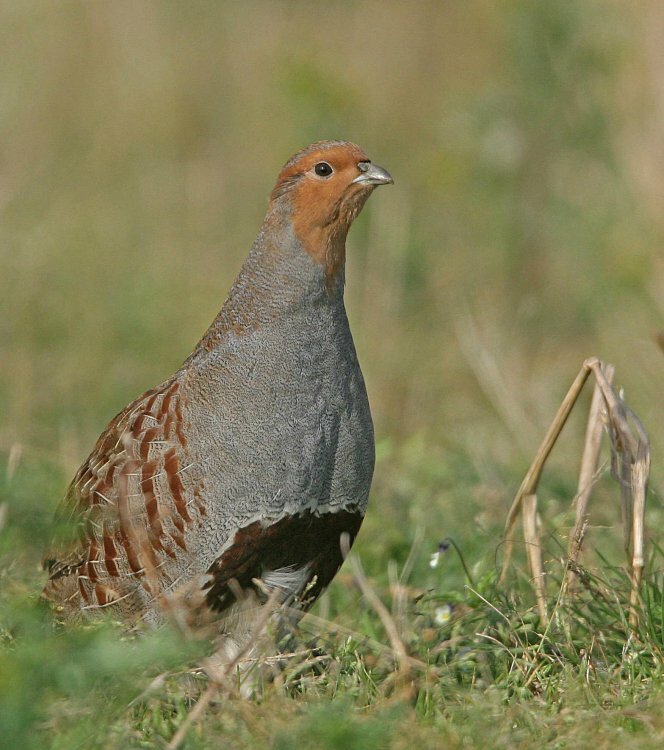 This BTO-led consortium project attempts to provide that synthesis for UK biodiversity.
. One key finding was that despite changes in bird communities being related to warming, populations of farmland birds appeared relatively unaffected by recent climate change (Eglington & Pearce-Higgins 2012). This suggests that the impacts of climate change may be greatest on species in semi-natural and natural habitats, whilst in human-dominated landscapes, such as farmland, human decisions may remain the most important driver of future change. The second phase of the BICCO-Net project is now underway to extend our analysis of the effect of climate change on species’ populations, and particularly to include freshwater habitats, which may show contrasting patterns of response to warming. Our first task is to identify which weather variables affect species’ population growth across different groups of species, and to identify the times of year when populations appear most sensitive to change. Additional analysis will also consider how the response of populations to variation in these weather variables is influenced by land-use and habitat quality, to enable us to separate the effect of climate change from other drivers of change. In all of these analyses we will use variation in species’ response to weather variables to make generalisation about the likely sensitivity of species to long-term climate change. Bellard, C., Bertelsmeier, C., Leadley, P., Thuiller, W. & Courchamp, F. (2012) Impacts of climate change on the future of biodiversity. Ecology Letters, 15, 365-377. Chen, I.-C., Hill, J.K., Ohlemüller, R., Roy, D.B. & Thomas, C.D. (2011) Rapid range shifts of species associated with high levels of climate warming. Science, 333, 1024-1026. Eglington, S.M. & Pearce-Higgins, J.W. (2012) Disentangling the relative importance of changes in climate and land-use intensity in driving recent bird population trends. PLoS One, 7, e30407. Thomas, C.D., Cameron, A., Green, R.E. et al. (2004) Extinction risk from climate change. Nature, 427, 145-148. 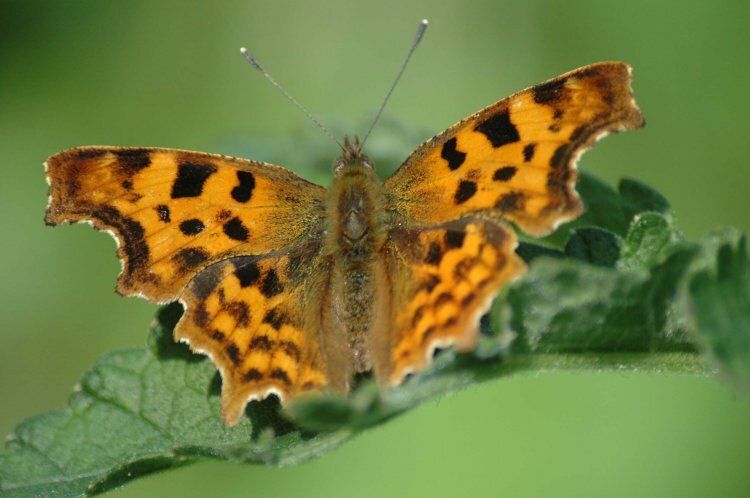 This is a collaborative project led by BTO but also involving CEH, Cardiff University, BioSS, Rothamsted Research, Bat Conservation Trust, ENSIS – ERC and Butterfly Conservation. It is funded by Defra, Natural England, Scottish Natural Heritage, Department of the Environment Northern Ireland and Countryside Council for Wales.